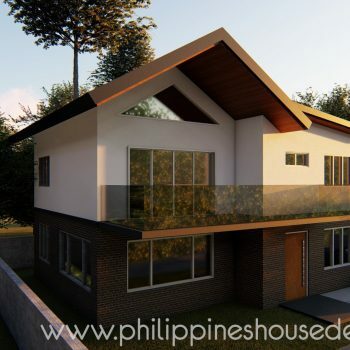 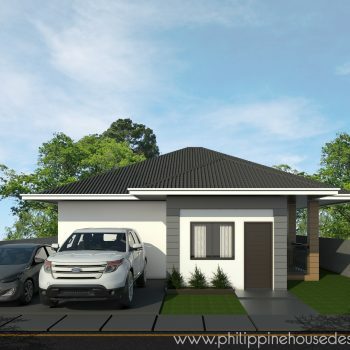 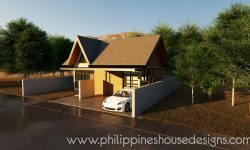 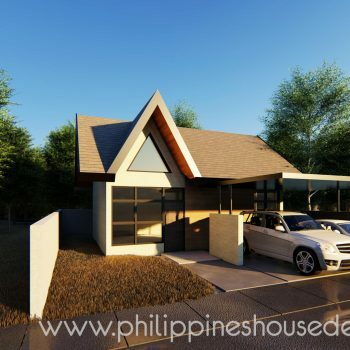 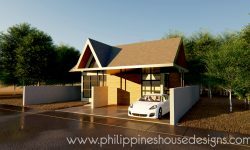 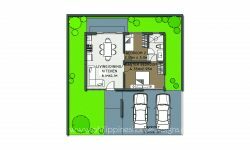 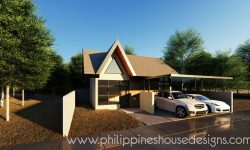 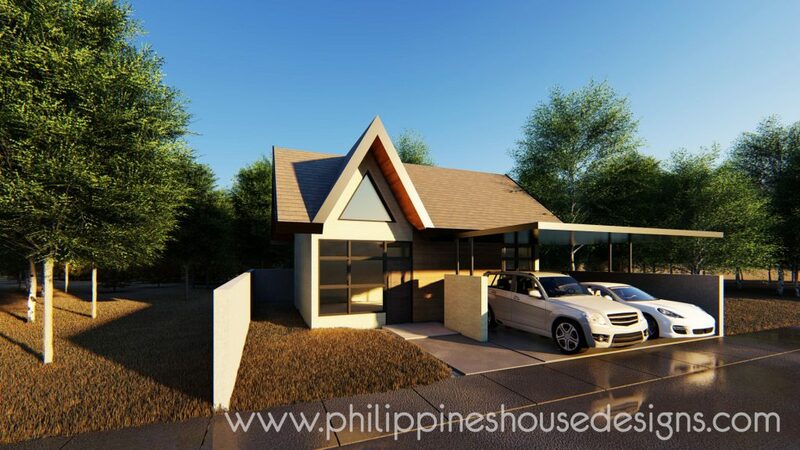 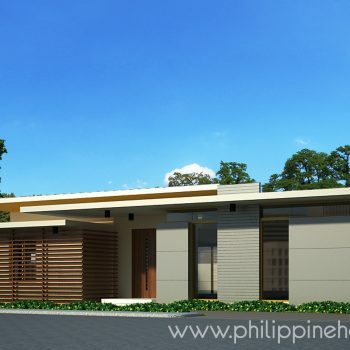 Inspired by cabin houses in the United States, this simple house looks special because of the high-pitched roof treatment and window openings. 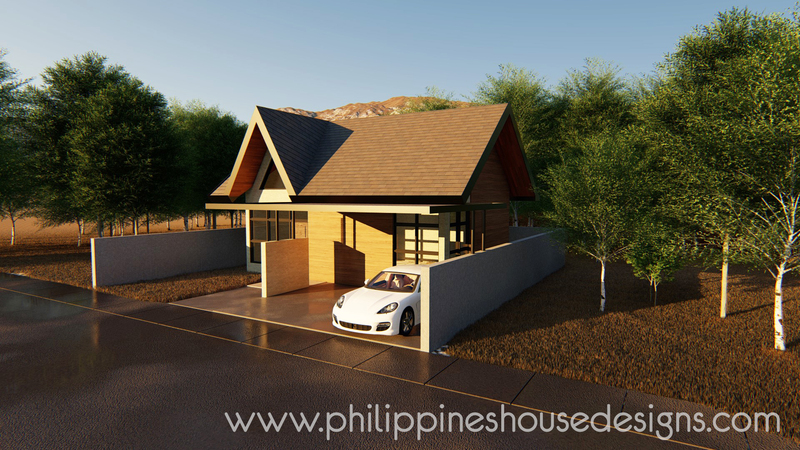 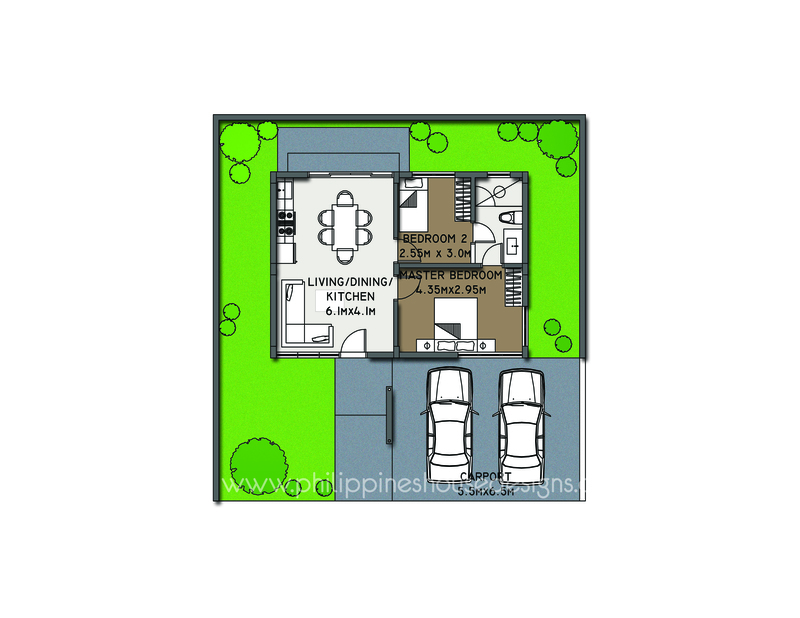 Living area is made to look spacious due to the sliding door and high windows at both ends. Bedrooms are spacious with ample wardrobe cabinets. 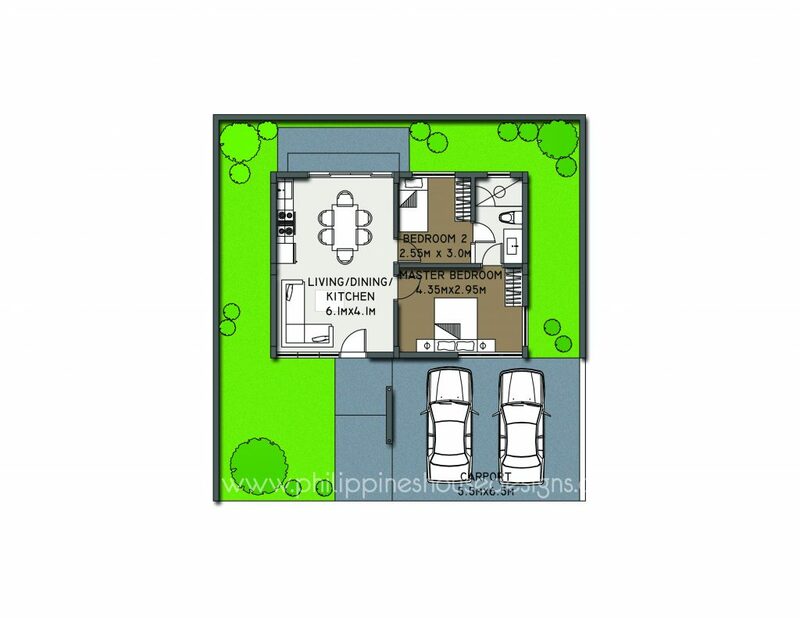 A full-sized toilet and bath is provided.